The nervous system can be described as a complex network of the autonomic, motor, and sensory nerves, which are involved in everything that the body does. It plays a vital role in many important functions of the body, including regulating breathing, digestion, controlling movements, and regulating temperature. This results in hyperactivity, cardiovascular stress, muscle tension, and other intensified functions, thus leading to the degeneration of nerve cells and other problems. Any trouble with the nervous system can seriously affect your quality of life. 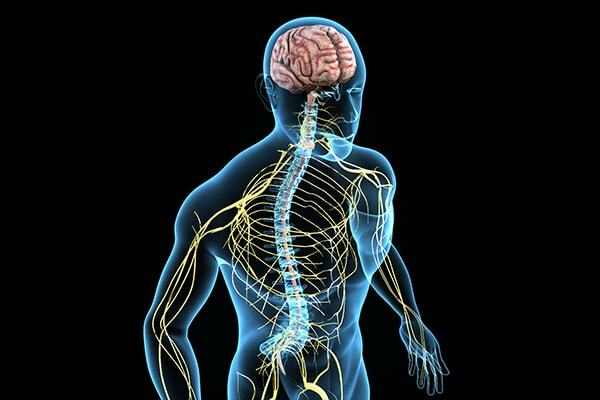 Symptoms of a weak nervous system vary depending upon which part of the system is affected and may be mild or severe. To reduce the risk of suffering from a weak nervous system, it is essential to take charge of your health. With simple lifestyle and dietary changes, you can strengthen your nervous system and lead a healthy life. 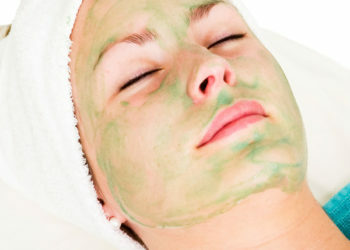 Also, there are a number of easy-to-follow home remedies that can be of great help. Here are the top 10 ways how you can strengthen your nervous system the natural way. This simple yet effective technique can be very beneficial for those with a weak immune system. It can help you relax and reduce stress. Lie down or sit in a comfortable position, putting your hands on your abdomen. Take a deep breath through your nose, expanding your abdomen and then filling your lungs with air. Hold your breath for 3 seconds. Then, breathe out slowly through your mouth and empty your lungs. Enjoy a short session of deep breathing 2 or 3 times a day. Walking barefoot on the moist earth, soft grass, or a sandy beach for about 30 minutes daily can greatly benefit your nervous system and overall health. Walking barefoot enables the electrons of the earth’s surface to transfer into your body. This, in turn, promotes physiological changes and improves your health. Walk barefoot on grass, particularly in the morning, to balance your nervous system. Sunlight helps regulate the nervous system by helping the body produce vitamin D.
Expose your body to early morning sunlight without using any sunscreen for 10 to 15 minutes daily to boost your vitamin D levels. You can also get vitamin D from certain foods. Salmon, tuna, milk, eggs, and fortified breakfast cereals are rich in vitamin D.
Make yoga and meditation a part of your daily routine to strengthen your nervous system. (11) The combination of the three elements of yoga – poses (asanas), meditation (dhyana) and proper breathing practice (pranayama) – helps strengthen the peripheral nervous system. Furthermore, yoga is good for elevating mood, reducing cortisol level, boosting the immune system, and increasing overall physical and mental well-being. Some of the yoga poses that are beneficial for the nervous system include: AdhoMukhaSvanasana (Downward-Facing Dog Pose), ViparitaDandasana (Inverted Staff Pose), AdhoMukhaVrksasana (Handstand Pose), Setu Bandha Sarvangasana (Bridge Pose), Sarvangasana (Shoulder Stand Pose), Paschimottanasana (Seated Forward Bend Pose), ViparitaKarani (Legs-Up-the-Wall Pose) and Shavasana (Corpse Pose). Note: As it is essential to do yoga poses in a proper manner, seek the help of an expert to learn the poses before practicing them on your own. Furthermore, it aids the body’s production of serotonin, which relaxes the nervous system and elevates mood. (13) It even promotes muscle relaxation. Eat foods rich in magnesium. Spinach, dark chocolate, lettuce, bananas, apricots, almonds, walnuts, lentils, brown rice, and pumpkin seeds are few examples of such food. You can also opt for a magnesium supplement. Consult your doctor for the correct dosage. Start eating foods that are rich in omega-3 fatty acids in order to reduce the risk of a weak nervous system. Omega-3 fatty acids – eicosapentaenoic acid (EPA) and docosahexaenoic acid (DHA) – are important for the development and functioning of the central nervous system. These fatty acids are necessary for proper neuron functioning and to improve nerve transmissions. Include foods rich in omega-3 fatty acids in your diet. Flaxseeds, chia seeds, walnuts, sardines, salmon, brussels sprouts, cauliflower, spinach, and canola oil are a few examples. You can opt to take omega-3 fatty acid supplements, after consulting your doctor. Regular exercise is also important in strengthening the nervous system. 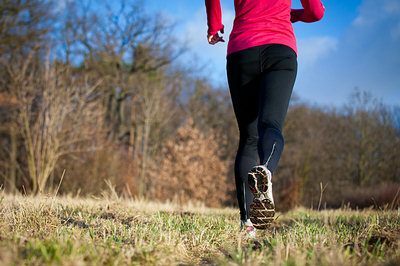 Walking, running, jogging, swimming, and bicycling are a few examples of physical activities that can be helpful in keeping the nervous system healthy. Consult your doctor to find out what exercises will be most suitable for you. 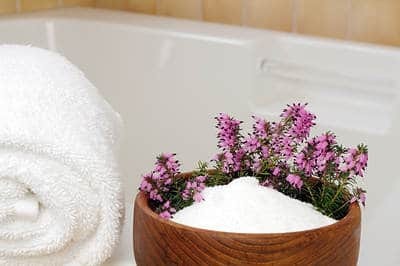 An Epsom salt bath can also be beneficial for the nervous system. It helps muscles and nerves to function properly. (16) The magnesium present in this ingredient also helps increase the mood-elevating hormone serotonin in the brain,(13) which reduces stress and promotes relaxation. Add 1 cup of Epsom salt to warm bathwater and stir thoroughly. Soak in this water for 20 minutes. Enjoy an Epsom salt bath once or twice a week. Green tea has a positive impact on your nervous system. L-theanine, an amino acid found in green tea, helps increase levels of dopamine and serotonin. (17) This, in turn, improves mood and reduces stress. Also, green tea is packed with antioxidants, which benefit the cardiovascular autonomic nervous system and reduce the risk of cancer, cardiovascular disease, diabetes, obesity, Alzheimer’s disease, and Parkinson’s disease. 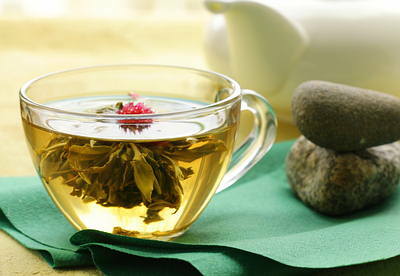 Add 1 teaspoon of green tea leaves or a green tea bag to 1 cup of hot water. Strain, sweeten with raw honey and drink it. Drink only 2 to 3 cups of green tea daily. This popular herb can be used as a mild sedative to calm the nerves and reduce anxiety. It can even be helpful in dealing with hysteria, nightmares, insomnia, and other sleep problems. 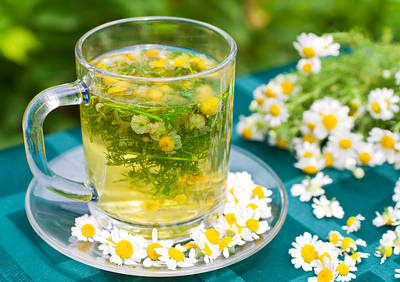 Add 2 teaspoons of dried chamomile to 1 cup of hot water. Cover and steep for 5 minutes. Strain, add raw honey for the taste and drink it. Drink 2 to 3 cups of chamomile tea daily. Also, add a few drops of chamomile essential oil to warm bathwater and soak in it for 15 minutes to soothe your nerves. Get plenty of rest and sleep after a long hectic day. Get your blood sugar and high blood pressure under control. Drink plenty of water and other fluids, as dehydration is not good for the nervous system. Limit your intake of caffeinated and alcoholic drinks. Strive to learn new skills to increase your attention span and keep you focused. End a bath with a few seconds of a cold shower to stimulate your nervous system. However, avoid the head region. Do not use nonprescribed medicines. Protect yourself from head injuries and accidents. DeBaun MR, Kirkham FJ. Central nervous system complications and management in sickle cell disease. Blood Journal. http://www.bloodjournal.org/content/127/7/829?sso-checked=true. Published February 18, 2016. Menorca RMG, Fussell TS, Elfar JC. Peripheral Nerve Trauma: Mechanisms of Injury and Recovery. Hand Clinics. https://www.ncbi.nlm.nih.gov/pmc/articles/PMC4408553/. Published August 2013. Grosset DG, Grosset KA. Prescribed drugs and neurological complications. Journal of Neurology, Neurosurgery & Psychiatry. https://jnnp.bmj.com/content/75/suppl_3/iii2. Published September 1, 2004. Kumar N. Neurologic Presentations of Nutritional Deficiencies. Plum X Metrix. https://www.neurologic.theclinics.com/article/S0733-8619(09)00062-0/abstract. Published February 2010. Sethi NK, Robilotti E, Sadan Y. Neurological Manifestations Of Vitamin B-12 Deficiency. The Internet Journal of Health. http://ispub.com/IJNW/2/1/4476. Published December 31, 2004. Teixeira RR, Díaz MM, Santos TVda S. Chronic Stress Induces a Hyporeactivity of the Autonomic Nervous System in Response to Acute Mental Stressor and Impairs Cognitive Performance in Business Executives. PLoS One. https://www.ncbi.nlm.nih.gov/pmc/articles/PMC4373764/. Published March 25, 2015. Ma X, Yue ZQ, Gong ZQ, et al. The Effect of Diaphragmatic Breathing on Attention, Negative Affect and Stress in Healthy Adults. Frontiers in Psychology. https://www.ncbi.nlm.nih.gov/pubmed/28626434. Published June 6, 2017. Oschman JL, Chevalier G, Brown R. The effects of grounding (earthing) on inflammation, the immune response, wound healing, and prevention and treatment of chronic inflammatory and autoimmune diseases. Journal of Inflammation Research. https://www.ncbi.nlm.nih.gov/pmc/articles/PMC4378297/. Published March 24, 2015. Wrzosek M, Łukaszkiewicz J, Jakubczyk A, et al. 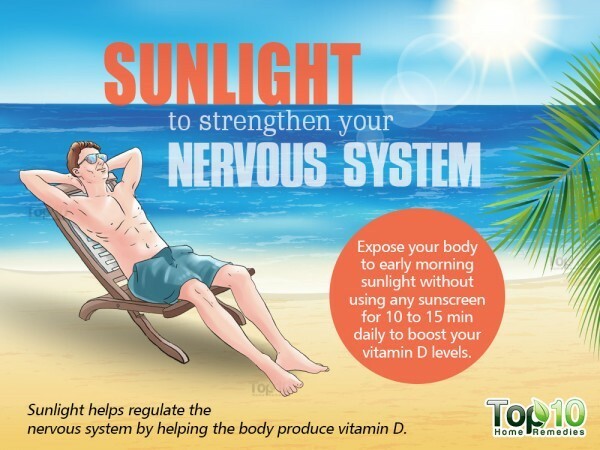 Vitamin D and the central nervous system. Pharmacological Reports. https://www.ncbi.nlm.nih.gov/pubmed/23744412. Published 2013. Tuohimaa P, Keisala T, Minasyan A, Cachat J, Kalueff A. Vitamin D, nervous system and aging. Psychoneuroendocrinology. https://www.ncbi.nlm.nih.gov/pubmed/19660871. Published December 2009. Woodyard C. Exploring the therapeutic effects of yoga and its ability to increase the quality of life. International Journal of Yoga. https://www.ncbi.nlm.nih.gov/pmc/articles/PMC3193654/. Published 2011. Castillo Jdel, Katz B. The effect of magnesium on the activity of motor nerve endings. The Journal of Physiology. https://www.ncbi.nlm.nih.gov/pmc/articles/PMC1366291/. Published June 28, 1954. Tarleton EK, Littenberg B, MacLean CD, Kennedy AG, Daley C. Role of magnesium supplementation in the treatment of depression: A randomized clinical trial. PLOS ONE. https://journals.plos.org/plosone/article?id=10.1371/journal.pone.0180067. Published June 27, 2017. Dyall SC, Michael-Titus AT. Neurological benefits of omega-3 fatty acids. Neuromolecular Medicine. https://www.ncbi.nlm.nih.gov/pubmed/18543124. Published 2008. Anish EJ. Exercise and its effects on the central nervous system. Current Sports Medicine Reports. https://www.ncbi.nlm.nih.gov/pubmed/15659274. Published February 2005. Dechent WJ-, Ketteler M. Magnesium basics. Clinical Kidney Journal. https://www.ncbi.nlm.nih.gov/pubmed/26069819. Published February 2012. Mirza B, Ikram H, Bilgrami S, Haleem DJ, Haleem MA. Neurochemical and behavioral effects of green tea (Camellia sinensis): a model study. Pakistan Journal of Pharmaceutical Sciences. https://www.ncbi.nlm.nih.gov/pubmed/23625424. Published May 2013. Kuriyama S, Hozawa A, Ohmori K, et al. Green tea consumption and cognitive function: a cross-sectional study from the Tsurugaya Project 1. The American Journal of Clinical Nutrition. https://www.ncbi.nlm.nih.gov/pubmed/16469995. Published February 2006. Umezu T. Evaluation of the effects of plant-derived essential oils on central nervous system function using discrete shuttle-type conditioned avoidance response in mice. Phytotherapy Research. https://www.ncbi.nlm.nih.gov/pubmed/22086772. Published June 2012. Many many thanks for your tips. I am going for treatment soon. Waiting for more information. Thanks for providing this valuable information. Very valuable info and awareness tips given,thanks. Thanks for the information given to me about the improvement of nervous system. Now only i come to know through these valuable information how to strengthen my Nervous system. Thanks a lot. These are excellent tips for nervous system and i need them more to exercise. These are excellent tips and i need them more to exercise. I got sick last year April and admitted in hospital for 6 months and I was diagnosed with TB meningitis. Since then I could walk and now am using wheelchair and a Walker, I can stand up straight on my own but I walk. My legs are numb but early this year I couldn’t feel anything but now the feelings are back. It is still difficult to walk as am trying to use crushes to get balance but I only take only about 100 meters to walk. Is there any possibility that I gain back my nerves on my legs? What can I do? What can I eat? What exercises can I do that will suit my situation?. They can say strongly your information is correct who suffering about nerves weakness. I am one of them. Thanks you for provide this valuable information. I think it should be help me to improve my nerve system. Thank You so much for this valuable info. I have MS, so I can’t wait to try all of your tips.i know it will help me out. Thank You so much for the valuable info. I have MS, so I know it will help me as well as many others. Really most valuable information given certainly uesfull those are suffering to follow these reamedies. many many thanks . Hi my name is Caroline. I just started drinking green tea, well 3 weeks ago. My nervous system is not good. I think it will take time but will green tea really help calm my nerves. Thank you for any advice u can give me. I have improved my diet, no sugar I eat my meals and just fruit and drink plenty of water and 2 or 3 cups green tea or camomile tea a day. I don’t eat after my meal at 5 or 6 o’clock. So I’m doing all I can to help myself. I was at my doctor 4 weeks ago and my blood pressure was very high, I see him again in a months time it will be interesting to see how my blood pressure will be as I started diet after that. Thank you for any help you can offer me. Best wishes. Caroline.